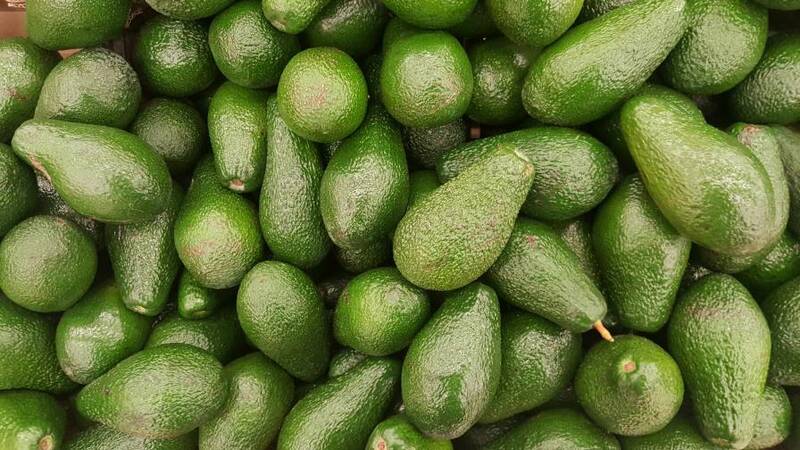 Avocados are one of the few crops in Chile that can economically be commercially cultivated on hills. On one hand hills don’t contain pests or diseases that require frequent control measures, on the other hand however, maintenance and harvesting costs tend to be higher on hillsides. 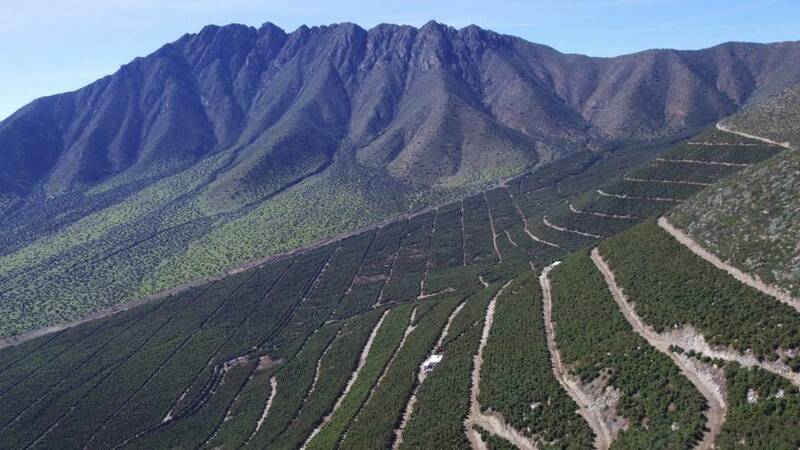 If we add the size of the avocado orchards to the equation, and time spent on ground inspecting every plant, we are presented with a question: Can avocado orchard management on hillsides be more feasible using new technologies? Avocado orchards, San Felipe Valley, Chile. The usual way of managing an avocado orchard was to scout it on ground and examine each tree to see if there are visible indications of a problem. In practice this would end up being a timely and a costly process, and still not everything can be seen with our human eyes. Some plant diseases show no sign of an outbreak to our human eye, however with reflectance maps, these crops might tell a different story. When you have to manage a large orchard of avocados on steep hills, you can’t scout them as much as you would like to. Clients usually need as much information as fast as possible in order to keep the crops in a good condition, reduce the production problems to a minimum, and maintain profits. Having the advantage of drones as well as aerial and multispectral images becomes an important factor in deciding the viability of a project. For this story we wanted to showcase an actual project from Chilean avocado orchards in San Felipe Valley. 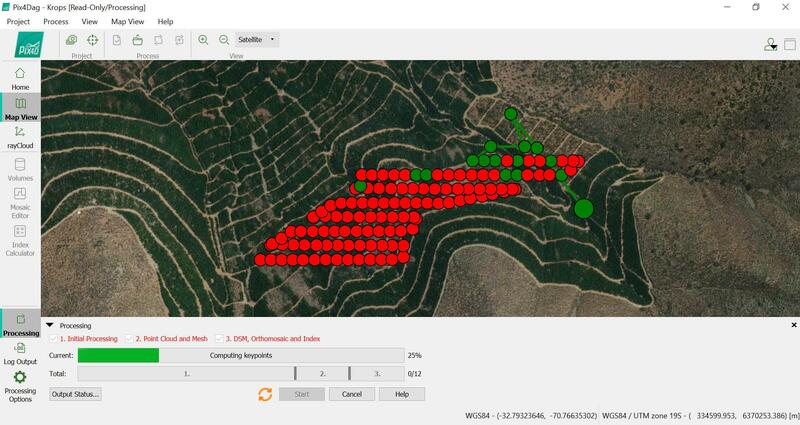 Chilean company Krops, together with Pix4D and one of their clients, developed a methodology for remote monitoring and maintenance of the avocado orchards using drones, MicaSense RedEdge camera (that captures five multispectral bands: red, green, blue, near-infrared, and red edge), and multispectral imagery. View of avocado orchard level curves. In order for this project to be successful it was important to take into consideration the most important periods of the year in terms of phenological stages of avocados. The start of mapping took place in August 2017, was then repeated in mid-October 2017, and will be repeated in April 2018. 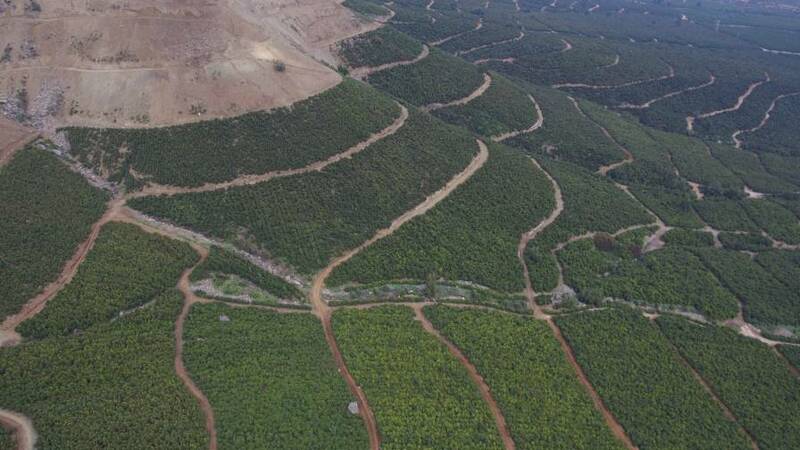 The project has its challenges due to the very short flight period to cover over 1,100 hectares, divided into four farms between 200-380 hectares each in order to have comparable images. Additionally, the landscape is a real challenge as the flights have to be done following the level curves in order to maintain a similar altitude between highest and lower points of the field. On top of that the wind was an additional challenging aspect that needed to be considered. 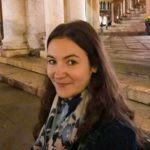 Another big challenge that presented itself was processing due to the vast amount of data that was collected every day during the flying periods. In order to optimize the workflow, a workstation was installed to process all the flight data taken that day, during the evening of the same day. As soon as one farm would finish processing, the individual projects were merged into bigger ones that represented between 90-100 hectares. Data processing using Pix4 Software. Click image to enlarge. This workflow ensured the reduction of the result delivery time, starting with two weeks in August 2017, five days in October 2017, and for April 2018, it is expected that it will take 2-3 days. Having fast and accurate result delivery was especially important considering the client wanted to receive all the information at the end of each flying period as soon as possible. The achieved results so far have helped the client with making decisions such as pruning trees that are very low on vigor as well as redesigning fertilizer strategies based on variable rate mapping from reflectance maps. The room for more analysis is there, especially once the final flight is completed, and a comparison between the three different moments in the year can be created. I would like to ask how do you use meteorological data to complement your decision making strategies for farmers as multi-spectral scanning is just part of the decision making picture. There are some very interesting new weather stations out there like the MeteoHelix and the popular Vantage Pro and can your products interface with them for a more complete analysis including historical weather data or is that not very critical with multi-spectral analysis of the current crop state for future decision making?